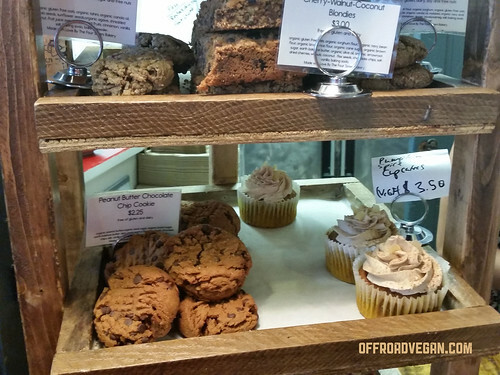 I have been complaining about Burlington’s vegan scene for a while now, with only a few places (like Stone Soup) offering anything substantial. So when I heard about Pingala in the Chace Mills at Winooski, I was really excited to check them out. Their location is pretty awesome, right on the banks of the Winooski River at the falls. While the idea of a nice outdoor spot sounded nice, the mercury was hovering around 15 degrees. So we elected to sit inside. The essence of the old mill shines though. Once in the first floor of the mill, the space is really cool. 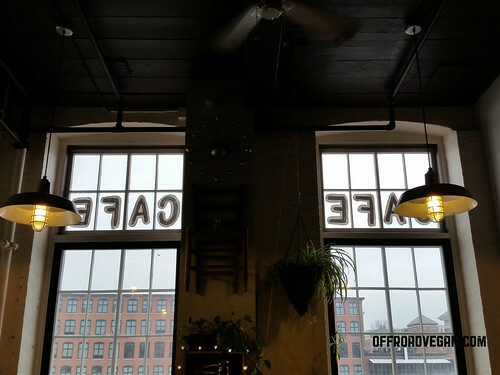 Old wooden beams and huge windows dominate the space, which is typical for these old mills. The menu is extensive! It took me quite a while to choose my lunch. 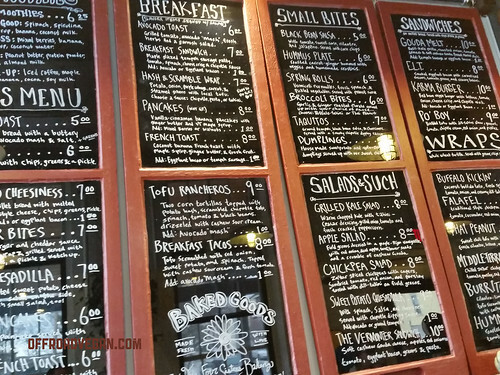 A massive menu…be prepared to choose! For me the choice was between the Tofu Rancheros and the Buffalo Kickin’ wrap. Per the guidance of the server, I went with the Buffalo Kickin.’ The wrap had a lot of tofu in it, but unfortunately not a whole not of flavor (especially for something buffaloish). 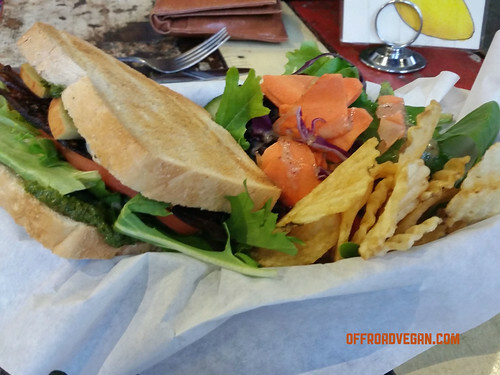 My mom ordered the Vermonter, a sandwich loaded with apples, eggplant bacon, cashew cheese, greens and pesto. Overall, our lunch was very good, but next time I will try something else. Price was good, with the entire lunch around $20. I was really happy to see a good selection of housemade baked goodies and snacks. The service was super friendly and the food arrived quickly. 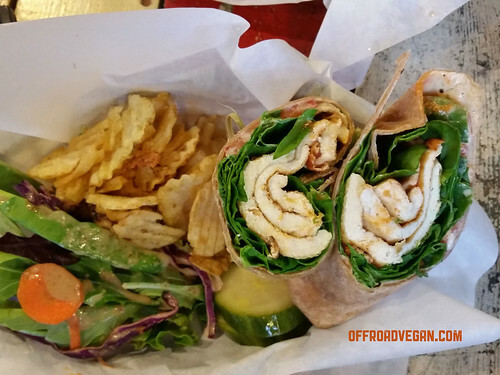 Pingala is a great new addition to the Burlington vegan scene! It definitely fills a niche and I look forward to coming back, hopefully to sit outside along the river.